The team of Rosie Lee had been experimenting with real concept ideas of the Air Max shoe design to come out with some catchy and extremely detailed digital illustrations. Before becoming a shoe, Air Max conceptual ideas came from a sophisticated elaboration of structural forms. The Air Max 1 for example by legend Tinker Hetflieds took inspiration from the architecture of the center Pompidou by returning its inside-out structure to the shoe. 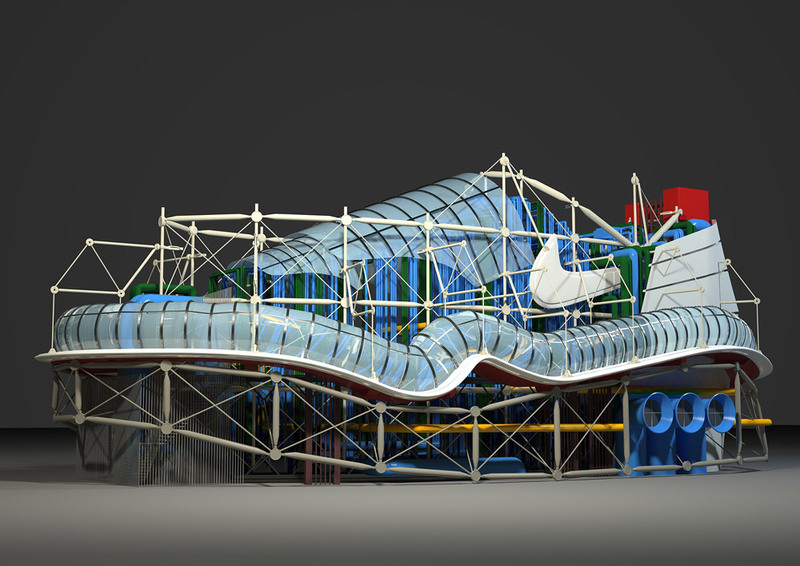 The illustrations are showed by different perspectives giving the impression of a giant “sneaker”-building. The next concept of Air Max 90 was built with speaker stacks paying tribute to the crate diggers that inserted it in their everyday style. Again, the different visual angles make it look like a giant concert stage. 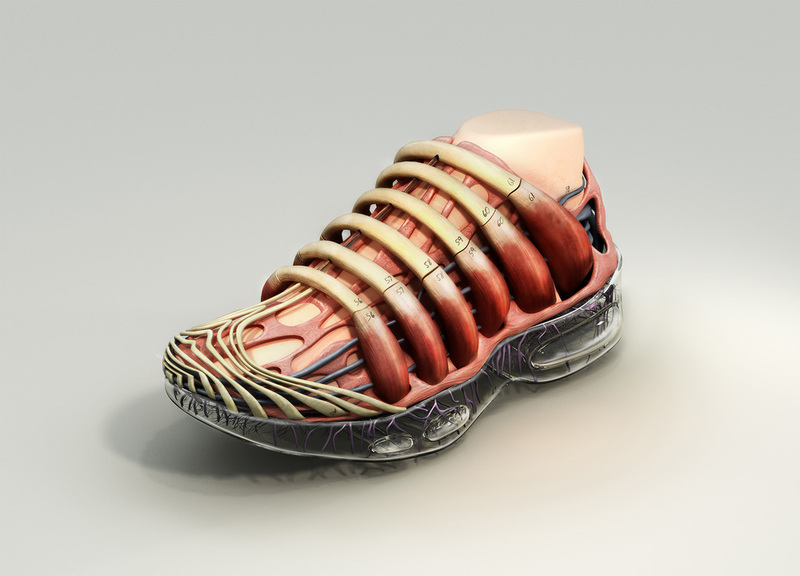 The conceptual design continues with a shoe that takes inspiration from the human anatomical bone structure like the designer Sergio Leone did for the air max 95 model. The illustrations show perfectly the dynamics of micro and macro elements into the composition of one singular object that can be illustrated in many different structural forms. It let us extend our imagination in how forms can maintain a synthetic order but applied to design different things. Refreshing to think that sometimes we just need to look closer to the world around us to come up with original ideas.